Having discovered God’s love for her, Gytha, a young slave, longs to escape the violence and cruelty of the world and devote herself to learning more about this God of love. Instead she lives in a Saxon household that despises the name of Christ. Her simple faith and devoted service bring hope and purpose to those around her, especially during the dark days when England is defeated by William the Conqueror. Through all of her trials, can Gytha learn to trust that God often has greater work for us to do in the world than out of it? 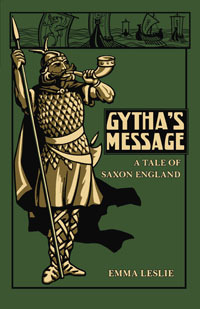 Story Setting: Saxon England in 1053 - 1066 A.D.